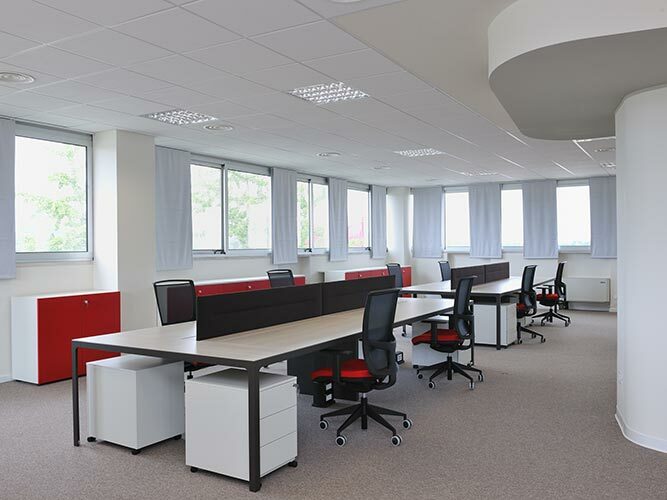 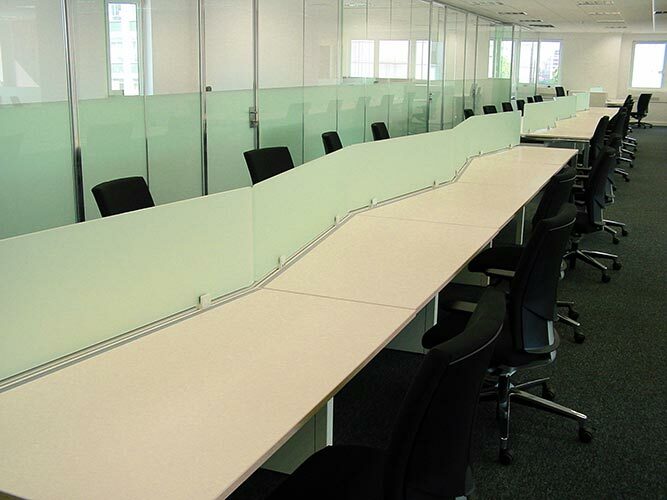 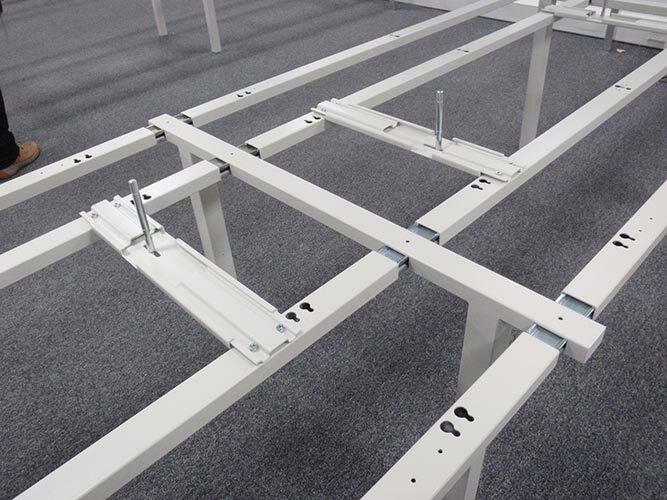 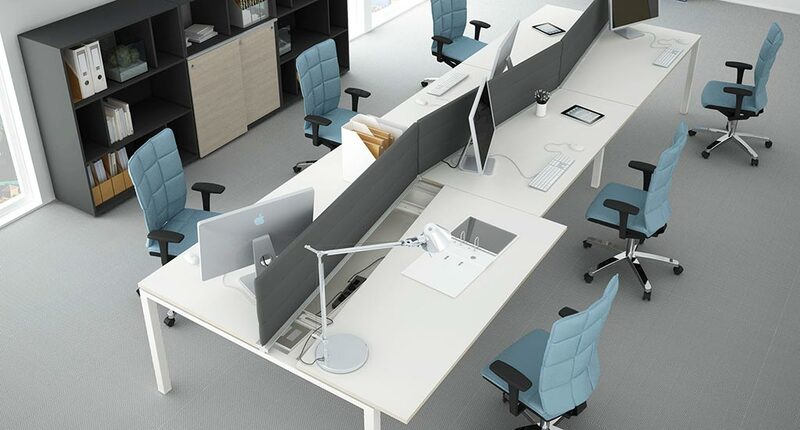 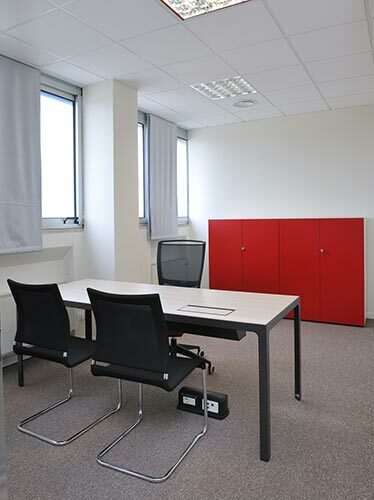 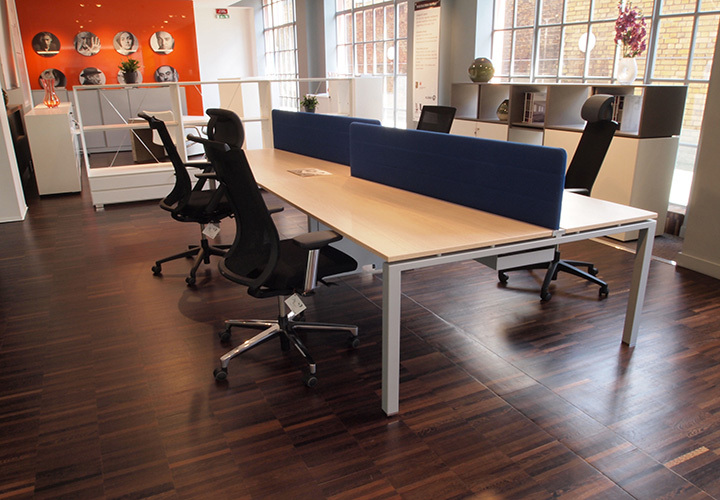 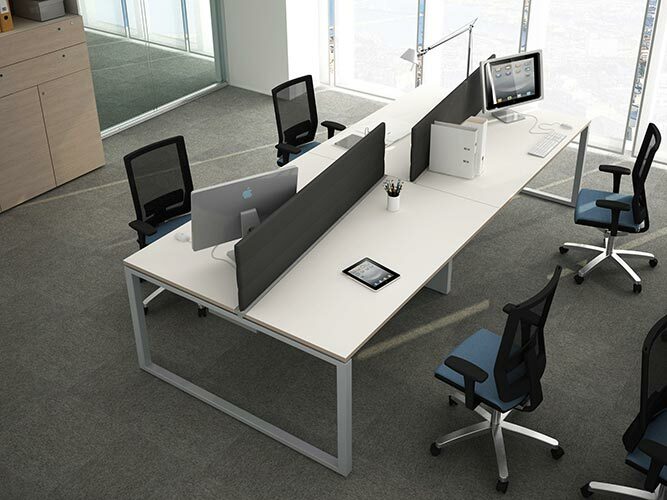 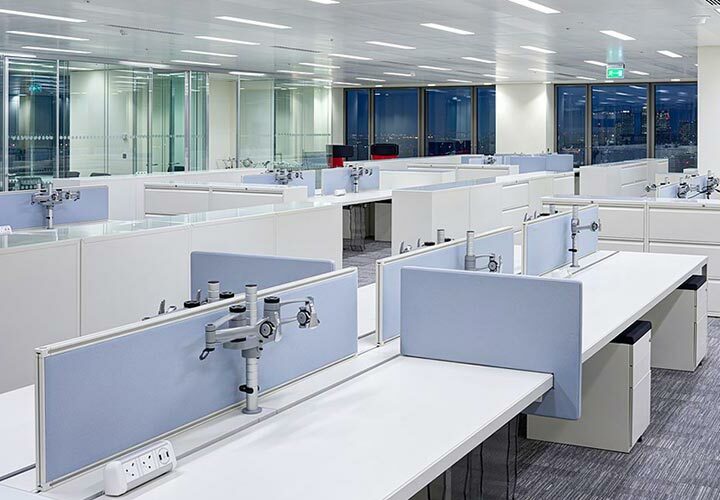 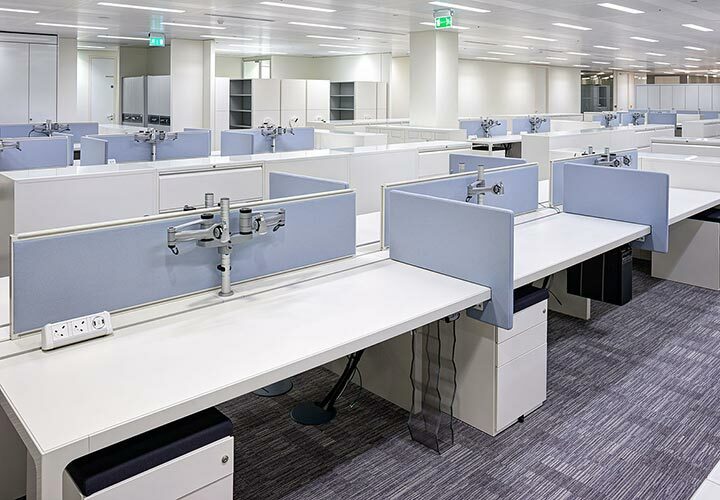 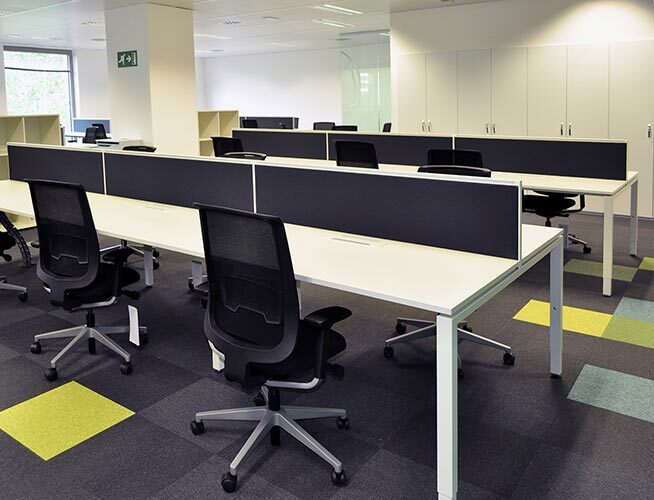 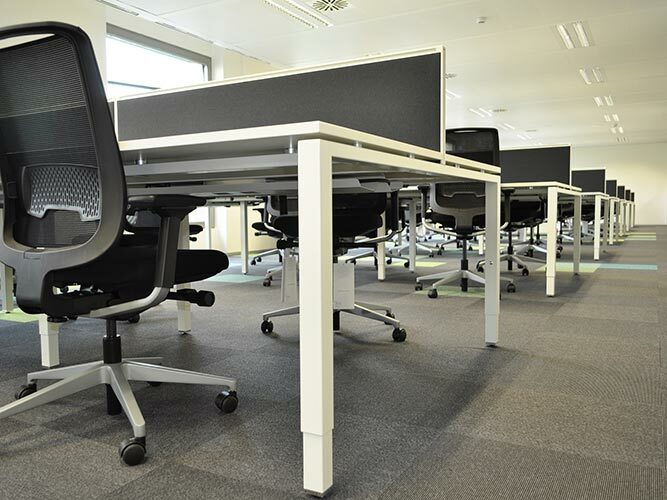 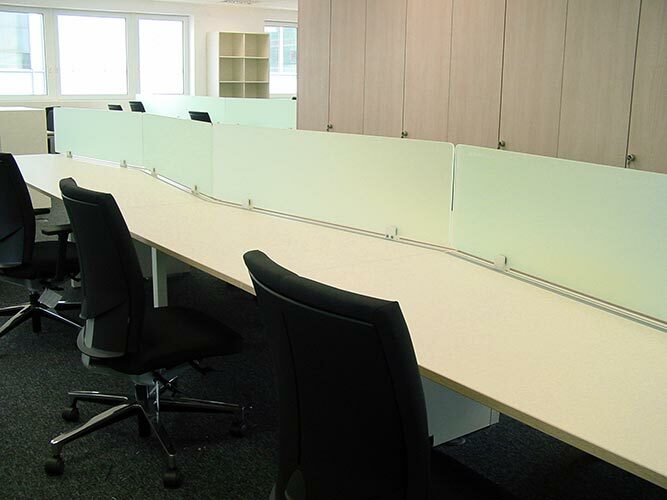 Single or bench arrangements in innovative designs to improve ergonomics and layout efficiencies. 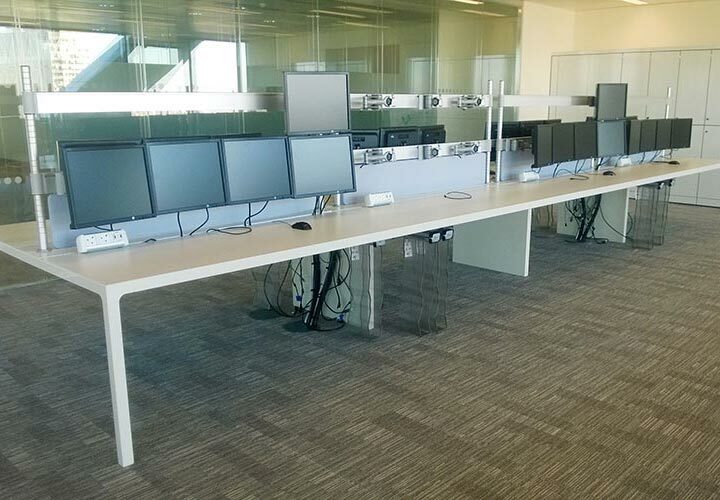 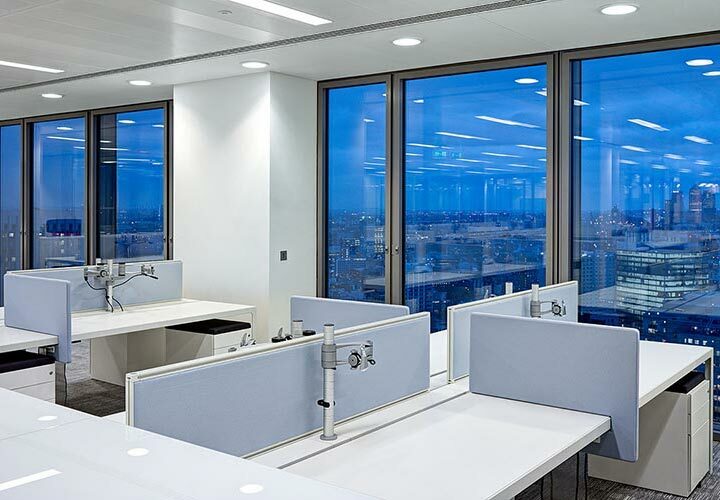 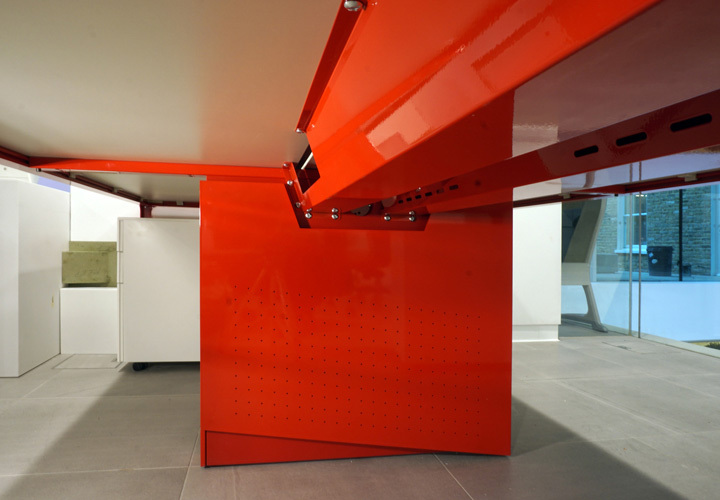 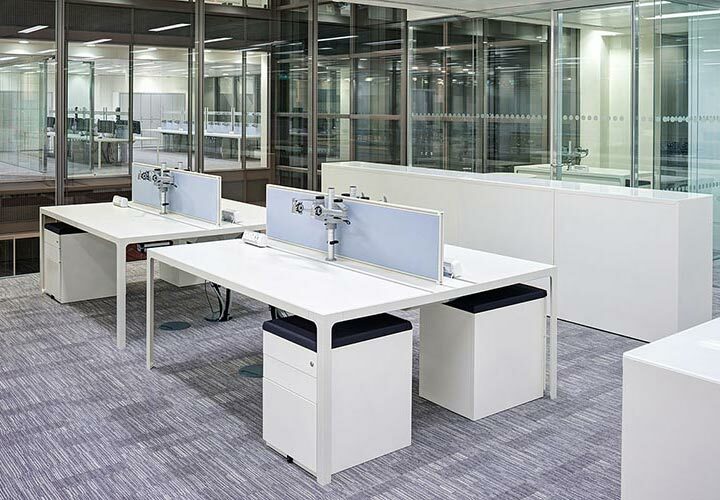 Combinations of frames, tops, screens, storage and accessories always bring opportunities to create unique environments whilst being flexible for future reconfigurations. 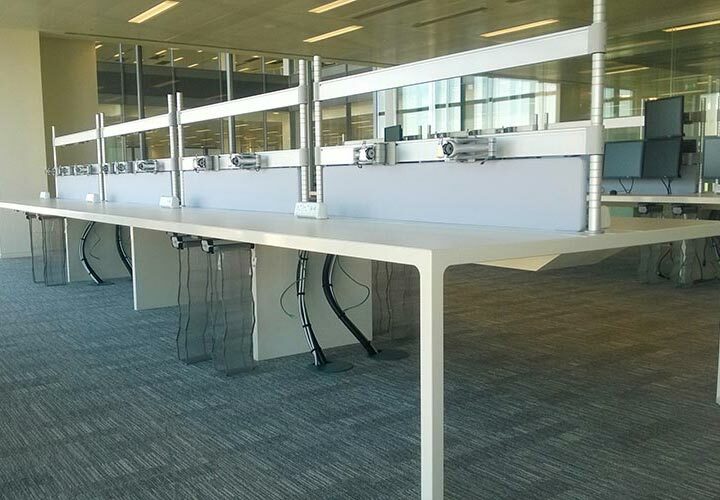 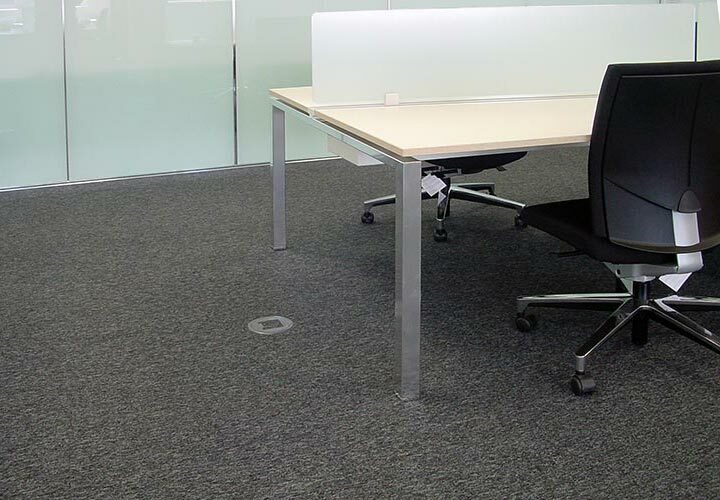 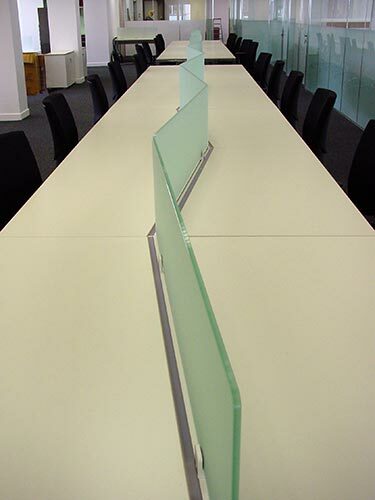 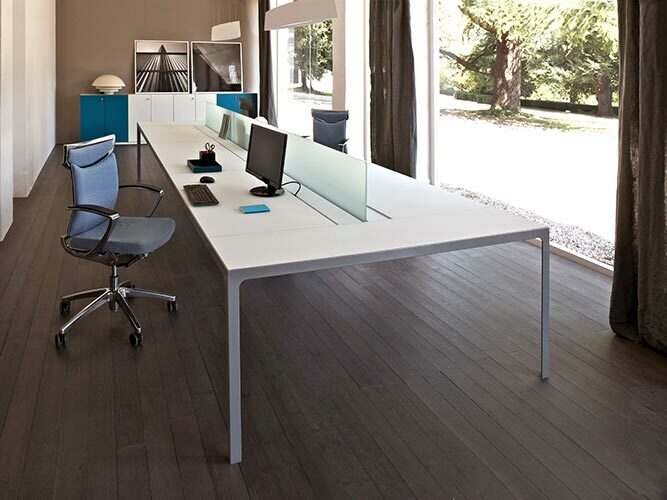 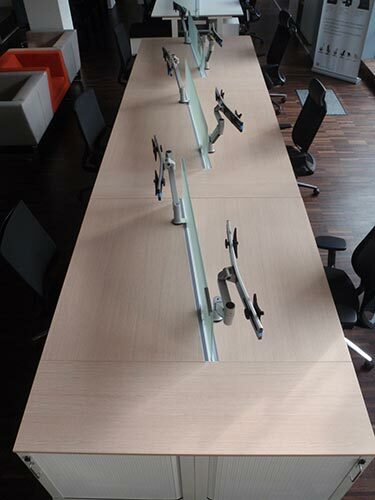 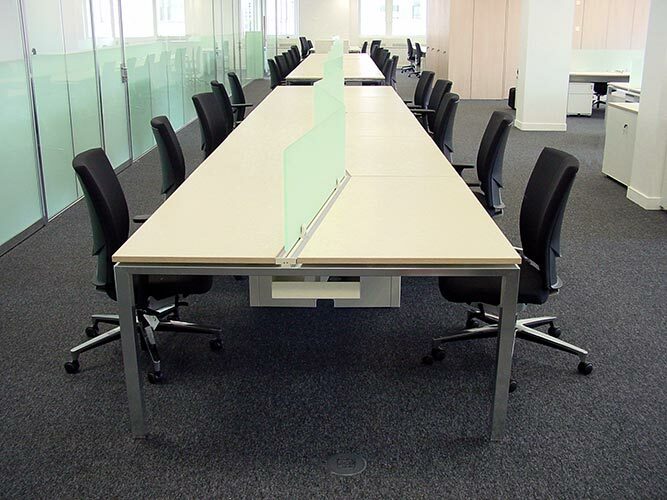 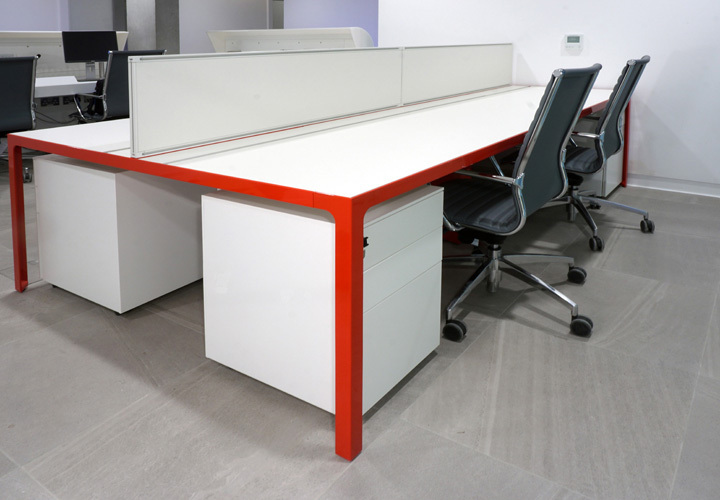 A trapezoid top solution combined with a sliding action allows to further reduce the back to back depth of bench desks and increase communal circulation spaces.